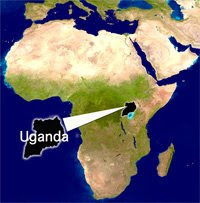 ... a forum for those interested in Uganda, medical missions, and the glory of God! NUWAMANYA Tessa a resident of Lyantonde, has a child sick of malaria. She is also ill and yet for the last five days, they have failed to obtain treatment. This soon changed when a team of doctors from the University Bible Fellowship (UBF) visited Lyantonde district. UBF is an evangelistic organisation focused on social development through preaching and reaching out to disadvantaged communities. The visit organised in collaboration with Bethesda Mission Clinic, a Makerere-based mission health unit, is part of UBF’s annual Medical Mission outreach. The Project was launched in the district three years ago. Between January 26 and 28, a team of 21 medical personnel including physicians, general surgeons, paediatricians, orthopedic surgeons, oncologists family doctors and dentists visited the district. Part of the team comprised of medical personnel from the US, Germany and Korea’s Kwangju province. The team included a senior consultant paediatrician, an intensive care unit nurse and an internal medicine specialist from the USA, a paediatrician, a chest physician, oncologists, anesthesiologist, pharmacist from Uganda and other specialists from Germany. Working hand in hand with a local organisation, Integrated Community Development, the doctors offered treatment and medical advice to hundreds of patients and performed numerous surgical operations. In the paediatric clinic, doctors carried out monitoring and evaluation of malnourished infants, vitamin A supplementation and deworming. With a population of 74,000 people, the district has one hospital and 22 health care units, 12 of which are private clinics. According to Dr Katumba Ssentongo, the district health officer, the hospital also serves the areas of Kooki, Kakyera, Kyazanga, Nyabushozi, Kiruhura, Rwemiyaga, among others. With an annual budget of sh437m, the district cannot sufficiently meet its health care targets which is estimated at twice as much as the funds they have received. The district faces an acute shortage of staff. “We have a third of the workforce needed. Out of 363 health workers we need, we have 122,” says Dr. Katumba. He said the district has only four doctors out of the required nine, four registered nurses out of the required 40, four registered midwives out of the required 12 and nine clinical officers. The district lacks Xray, CT scan and ultrasound machines. Compounded by the devastating effects of HIV/AIDS, the community in Lyantonde faces an acute problem of poverty. Whereas 11% of the population is orphans, 65% of whom lost their parents to HIV/AIDS, 36% of these orphans are living under the care of their elderly grandparents. Even when extended families try to care for AIDS orphans, many are unable to cope financially. The majority of the orphans are forced to fend for themselves. Young girls bear much of the domestic responsibilities, including caring for their younger siblings. Such conditions have led to a desperate cry for help among the local people. “We are overwhelmed,” the Lyantonde LC chairman, Nayebare Kyamuzigita says. Every day we receive two to three accident cases and yet we do not have the necessary facilities. Dr. Hannah Kim was very excited at the opportunity of being one of the volunteers this year. “I was happy to be part of this team but I saw there are too many patients. I noticed that even with limited drugs, there can still be a difference,” she said. Karen Bahirwe a 25-year-old mother was very thankful after receiving medication for both herself and her son. She confessed however that even though the treatment was good and timely, it was not sustainable. Dr. Maria Keller, a dentist from Germany, said there was no time to educate the people about oral hygiene because the patients were too many. Dr. Titus Keller from UBF Germany, observed that more needs to be done to create awareness and educate the residents about basic health issues. Dr. Samuel Zun from Cincinnati, USA, called for Government support. “More collaboration with the community groups and medical doctors will all be needed if the objective of reaching rural communities is to be achieved,” he said. 2009 TRIP: Hmmm... were we duped at the Equator? DEVOTIONAL: "So, why are you going to Africa?" Missions is not the ultimate goal of the Church. Worship is. Missions exists because worship doesn’t. Worship is ultimate, not missions, because God is ultimate, not man. When this age is over, and the countless millions of the redeemed fall on their faces before the throne of God, missions will be no more. It is a temporary necessity. But worship abides forever. Worship, therefore, is the fuel and goal of missions. It’s the goal of missions because in missions we simply aim to bring the nations into the white hot enjoyment of God’s glory. The goal of missions is the gladness of the peoples in the greatness of God. “The Lord reigns; let the earth rejoice; let the many coastlands be glad!” (Ps 97:1). “Let the peoples praise thee, O God; let all the peoples praise thee! Let the nations be glad and sing for joy!” (Ps 67:3-4).